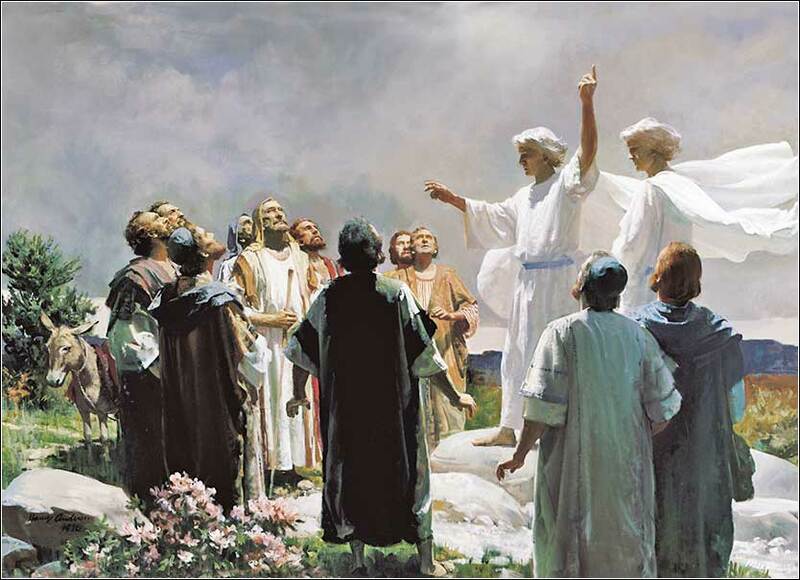 The Ascension of Jesus, by Harry Anderson, ca. 1964. 345 people in our community are currently praying with you. Lyrics to "Until I Found the Lord (Jason Crabb)"
I prayed and I prayed, until I found the Lord. I cried and I cried, until I found the Lord. I moaned and I moaned, until I found the Lord. My bed was like a cold hard ground; my pillow made of stone. I wrestled with the Angel; I would not let Him go. I will not go, I'll never bow until I seek the Lord! I cried and I cried . . . This could be the day . . .
Lord, I come before you today and I thank You for all the blessings that You have given me. Many times my life is so full of busy work that I neglect my relationship with You: for that I am truly sorry. I know that You never neglect me, for if You did my very life would cease to be. Continue to pull me to Yourself, guide me in my journey, and hold me close in Your bosom until the day I come home to be with You forever. Be with me, and with those who pray with me, for although we are in different places around the world, we gather spiritually in Your name. May we feel your presence among us. In Jesus’ precious name I pray. Heavenly Father, I have spent my life constantly wanting more. Let me be content. If I am having trouble paying my bills, let me look to those who live in cardboard shacks without clean water; if my vision is poor, let me help the blind; if my mobility is impaired, let me visit a prison filled with those who can walk and run; if I envy the young, let me pray for those who were killed by their mothers in the womb. And Your glory to their children. So he made them a feast, and they ate and drank. In the morning they rose early and exchanged oaths. And Isaac sent them on their way, and they departed from him in peace. That same day Isaac's servants came and told him about the well that they had dug and said to him, “We have found water.” He called it Shibah; therefore the name of the city is Beersheba to this day. f today's story sounds familiar, it is; it is nearly identical to an incident in the life of Abraham recounted in Genesis 21:22-34. In fact, many scholars have wondered whether this ancient history, which came down over centuries by telling and retelling, somehow confused Isaac and Abraham, one version of this story being told with Abraham as the subject and another with Isaac. But then, they were similar in many regards, especially in the way they lived their lives. Neither of them simply lived his life in the place where he was born. They were apparently Arameans, people given to wandering. We know much more about Abraham than Isaac, and he was the more prominent figure. The incidents in this scene also seem more like Abraham than Isaac, especially since they occur while Isaac is still part of his father's household. He was, as has previously been noted, more of a homebody than his huntsman brother Esau. 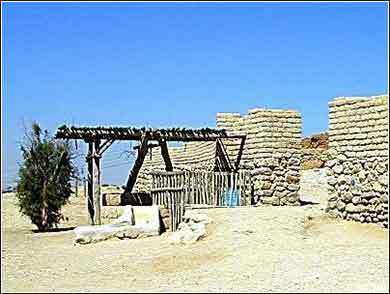 The gate, well, and a tamarisk tree outside the archeological dig at Beersheba. This could easily be Issac's well. Ephesians 2:8-9 (ESV): For by grace you have been saved through faith. And this is not your own doing; it is the gift of God, not a result of works, so that no one may boast.